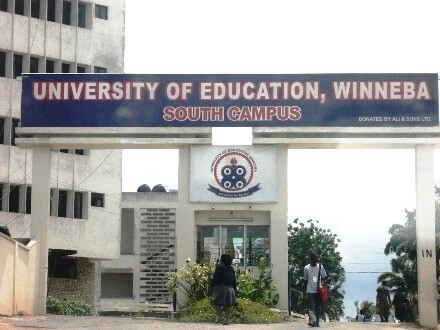 Authorities at the University of Education, Winneba (UEW), have closed down all of the school’s campuses following a court ruling that some actions taken by the school’s council was illegal. According to a press statement signed by the registrar of the school, all of its campuses will remain closed until Friday, June 16, 2017. “In line with the decision of the court, the members of the University Community, comprising UTAG executives, Deans, Heads of Department, and representatives of Senior Members therefore decided to shut down the University until Friday, 16th June, 2017 when the substantive case will be heard. The decision has arisen as a result of implementing the Judge’s directive that the Principal Officers of the University be restrained from working until Friday, 16th June, 2017 and also the fact that other management members, Principals, Deans and Deputy Registrars were appointed by the Councils whose authority are being challenged,” the release said.Campuses of the UEW affected by the closure are Winneba, Kumasi, Ajumako and Mampong-Ashanti. A private citizen, Supi Kofi Kwayera, last month sued the University of Education Winneba (UEW), and the Education Ministry for what he said was the unlawful extension of the school’s Governing Council’s tenure. In a writ sighted by Citi News, he also accused the Governing Council of misappropriating the funds of the University after the expiration of two tenures in 2013. The suit comes months after the Member of Parliament for Effutu, Afenyo Markin, called for the immediate withdrawal of thousands of certificates issued by the University of Education, Winneba, since 2013. The MP argued that, such certificates and degrees had been invalidated by the fact that an “illegal” University Council caused them to be issued without proper legal authority. The plaintiff, represented by Member of Parliament for Effutu Constituency, where the University is located, Afenyo-Markin, had his reliefs upheld by the court, pending the determination of the case on Friday. A declaration that the extension of the mandate of the Governing Council of the 1st Respondent by the 2nd respondent to stay in office to perform such functions as a properly appointed council was in breach of Section 8 Act 672. A declaration that all decisions taken by the defacto body of persons who constituted themselves as Governing Council is null and void and of no effect. A declaration that the contracts awarded to Sparkxx Gh Ltd, Paabadu Construction and C-Deck, were done in breach of the Procurement Act (Act 663). A declaration that all payments made to Lamas Ltd were done without the express written consent of the Ghana Highway Authority, and in breach of the Memorandum of Understanding and same must be refunded. A declaration that the illegally appointed Principal Officers of the 1st Respondent willfully misappropriated public funds by failing to put to public tender for the construction of the North campus road and thereby causing financial loss to the state. The University says it has been served with the suit and will respond appropriately. The University of Education, Winneba was sued at the Winneba High Court in connection with a writ brought by one Supi Kofi Kwayera represented today Tuesday 13th June, 2017 in court by the Member of Parliament of Effutu, Hon. Alexander Afenyo Markin challenging the legality of certain actions taken by the then Governing Councils of the University. Subsequent to the writ heard today Tuesday 13th June, 2017, the Honourable Judge ruled that, the relieves sought by the plaintiff should be upheld pending the determination of the case on Friday 16th June, 2017. In line with the decision of the court, the members of the University Community, comprising, UTAG executives, Deans, Heads of Department, and representatives of Senior Members have therefore decided to shut down the University until Friday 16th June, 2017 when the substantive case will be heard. This decision has arisen as a result of implementing the Judge’s directive that the Principal Officers of the University be restrained from working until Friday 16th June, 2017 and also the fact that other management members, Principals, Deans and Deputy Registrars were appointed by the Councils whose authority are being challenged. In order not to flout the directive of the court, the Registrar has been directed by the University community at a meeting held today 13thJune, 2017 to communicate the closure of all campuses of the University (Winneba, Kumasi, Mampong-Ashanti, and Ajumako).